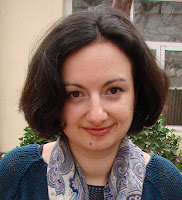 Suzanna Fatyan, one of Uzbekistan's finest tour guides, has contributed several pieces on this website about Uzbek cuisine. 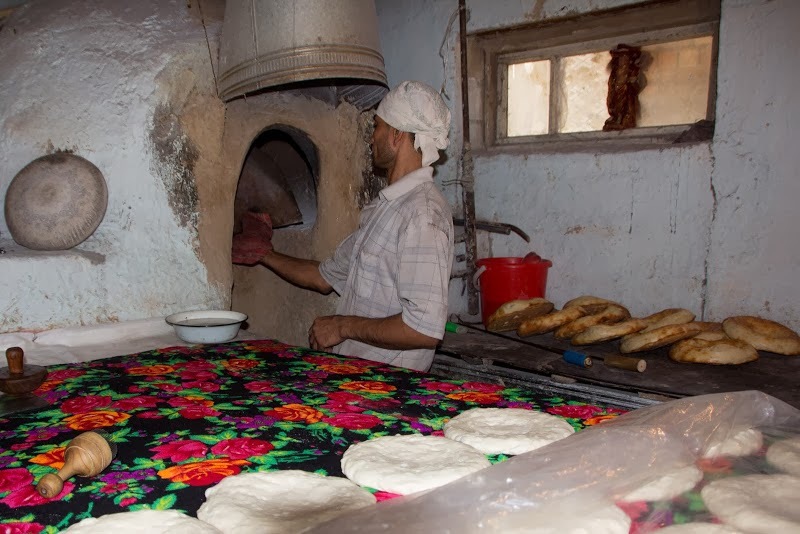 In this article she describes the glory of Uzbek bread. When travelling, people usually visit a country’s highlights, approach the local culture and experience traditional cuisine. Through food the traveller frequently understands the country even more than through sightseeing. Because experiencing cuisine supposes communication, dialogue, history and ethnography references. Why? Because in many countries food is not only a way to fuel your body with energy, food is a cult and a reflection of a nation’s lifestyle. I would even name food a sacred ceremony. Therefore, besides architectural landmarks, music, literature, poetry, and textiles, each country has its own gastronomical landmark, such as schnitzel in Austria, jamon in Spain, pierogi in Poland, plov in Uzbekistan. You learn about the landmarks even before you plan your trip. Nevertheless, there is always something important in local cuisine that we discover only after arriving, something that accompanies every meal and serves as its pillar in some way. For Uzbekistan one such pillar is bread, or non – a gift from God - common for all humanity. There is no meal served in Uzbekistan without non. First, what amazes you about Uzbek bread, even before you try its wonderful flavour, is its shape! It is round! Round like the hot Uzbek sun that makes this country so fruitful. Its shape is unrepeatable and perfect. Second - it is decorated. 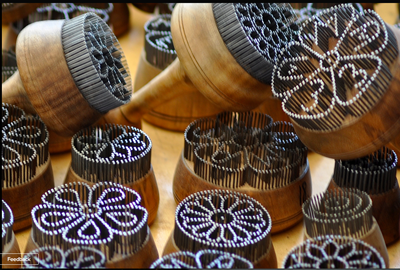 Each piece of bread has beautiful and intricate patterns made with the help of special wooden and metal stamps known as chekichs, which you find at our bazaars. Third – variety. Flakey bread, with onions, butter, fatty tail; substantial Samarkand bread (tip for those who travel to Samarkand, the best place to buy Samarkand bread is near Ulughbek’s Observatory), kulcha (small cute bread based on milk), Andijan bread, chapchak (soft bread) and dozens more. Fourth - the incredible colour. It is golden. Our bread is baked in a clay, wood-fired oven – a tandyr. When the oven has reached a very high temperature – around 400 degrees C, the prepared dough is placed on the internal oven walls. That explains its shape: it is more convenient for baking and also for taking it out of the oven. If you have time, please visit one of the bakeries in Samarkand’s old quarter and have a look at the baking process. To me it is a true art! Curiously, in Soviet times, there was an attempt to mechanise non production: bakeries were frequently closed and bakers persecuted as entrepreneurs. Happily this plan did not work. Only non from the tandyr has the proper flavour of the flame and unforgettable taste! In Uzbekistan, the attitude towards bread is reverential. There are many reasons for it. Bread has sacred features; it is connected to certain rituals signifying life’s major events such as weddings, childbirth and the departure of a son for military service. Among numerous marriage ceremonies where the presence of bread is important, the most common today is nonshikanon, or non sindirish which means ‘breaking bread’. This ceremony signifies the engagement, the treaty between two families that cannot be broken. Its major attributes are prayers, bread breaking and sharing pieces of the bread along with sweets among family members, friends and neighbours. While sharing bread we share our joy that our children are engaged. We also acknowledge that from that moment two families are united and we eat one bread. 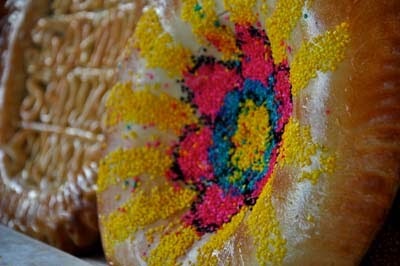 At the bazaar you always find colorful wedding bread. If you have a chance to try a piece of bread from the nonshikanon ceremony you become fortunate and will soon meet your special someone! Bread is prepared for guests for childbirth celebrations. Moreover, along with a little knife, a mirror and other amulets, bread is placed into the cradle, under the pillow of a newborn baby. This ritual is to ensure a fortunate future for the baby. A young man, leaving his family for army service, should bite a piece of bread before departure and finish the rest upon returning back home. The presence of his bread during the absence from the family somehow guarantees his return. There are many reasons for bread being so sacred. One of them is the lengthy process of its production. Analyzing it we observe that symbolically it represents the stages of human existence from birth through death. In different cultures, including the Orient, bread serves not only as food but also as a sacrifice for gods and ancestors. Bread has a uniting power. Better than anything else it represents the hospitable nature of the Uzbek people. Visiting friends on certain occasions you are given homemade specialties locked between two breads for family members who could not join the event. While travelling around the countryside you are always offered freshly baked bread, butter, yoghurt or milk. Certainly every baker has his own bread recipe and his own secret leavening agent. For that reason you should try breads everywhere in the country, because even the design can make its flavour different and special. Roaming around Tashkent you frequently hear the expression ‘Tashkent is the city of bread’! I suggest this expression applies to Uzbekistan in general. These words are very important. They appeared in the most difficult times for the world, in particular World Wars I and II. Both wars caused deportations, exiles, and persecutions. And Tashkent, the city of bread and indeed the whole of Uzbekistan, kindly helped everybody in need by sharing generously their bread, by adopting orphans, by providing shelter. These words reflect the kindness of Uzbek people, their high spiritual features and willingness to open their souls and hearts. Thus Uzbek bread is a symbol. A symbol of supreme spirituality, compassion, generousity, hospitality and beauty.